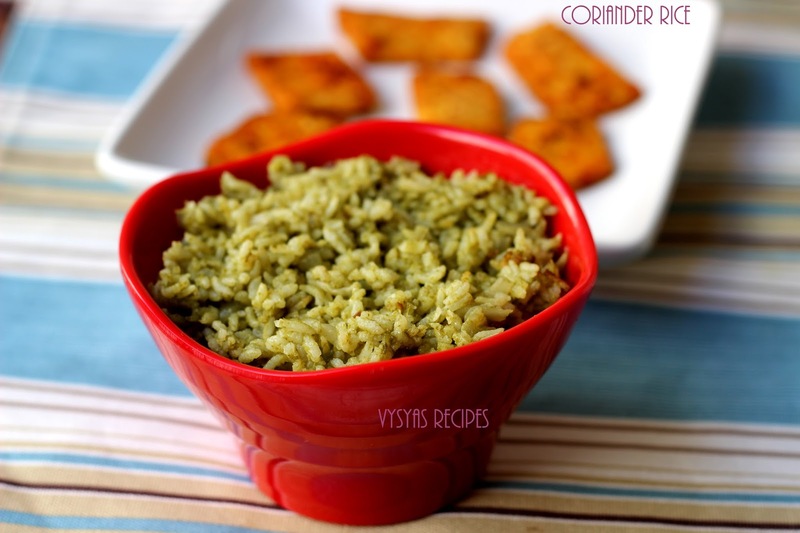 Coriander Rice is an Easy comforting flavourful Rice Recipe made with fresh Coriander leaves. I have added Coconut Milk to give Extra taste & flavour.It is an Easy one Pot meal or Lunch Box Recipe. you can serve with Papads or Raita.Coriander leaves have more digestive enzymes so which helps in digestion.It reduces Cholesterol levels & high blood pressure.High Vitamin K Content in Coriander leaves keeps the bone healthy.Now we will see the Preparation of Coriander Rice. 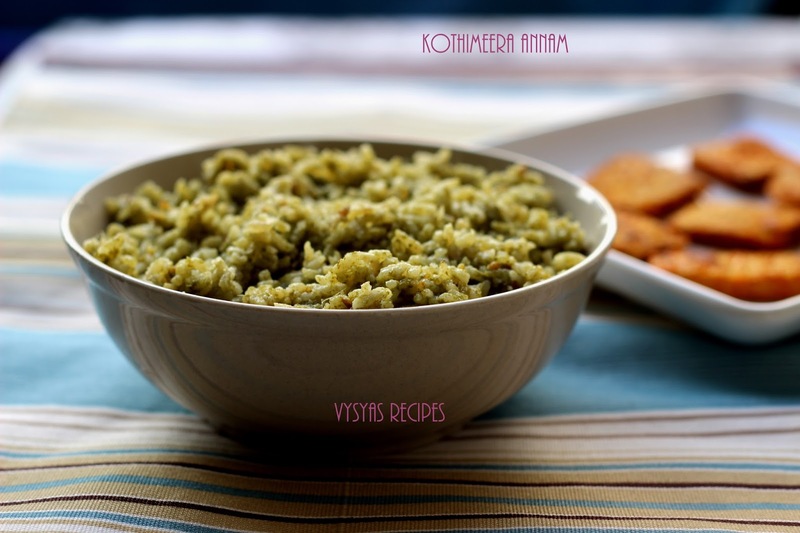 Basmathi Rice/Seeraga Samba Rice - 1 Cup. Fresh Coriander leaves - 1 bunch. Soak the Rice for 1/2 an hour with 1 cup of water. Grind fresh Coriander leaves,Green Chillies,Ginger,Pearl Onions & salt into a smooth Paste with little water. Heat the oil in a Cooker add bay leaf,cardomom & cumin seeds. saute for few seconds till you get Good Aroma. Add chopped onions saute till it turns Pink. Add Coriander leaves paste Saute & cook for 2 minutes. Drain the rice, add it to cooker, saute for 2 minutes. Then add a cup of Soaked Rice water & Coconut Milk. Mix well. Close the lid. When pressure starts Coming from the Cooker vent, keep the flame to sim.Now Put the cooker weight & cook for 5 minutes. Now switch off the flame. Open the Cooker after 15 minutes. 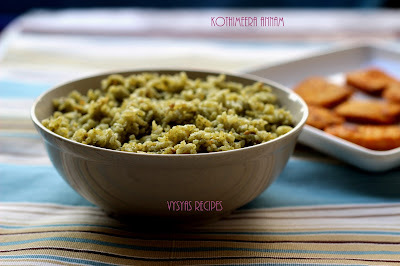 Serve hot with Raita or Papad. Adding Coconut Milk gives Nice flavour to the Rice. you can saute few Cashews in Ghee & add it to Cooked Coriander Rice. Add Chillies according to your Spice level. Always use fresh coconut to extract coconut milk for Good taste. you can also use Ready made Coconut cream powder to prepare Coconut Milk. wow.. so many flavours.. lovely..